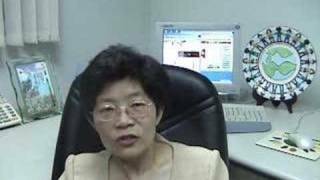 CyberFair 2006 -Taiwan's Miracle of Global Project Based Learning Taiwan SchoolNet Director, Yue Chane Hsing, tells about the CyberFair "miracle." 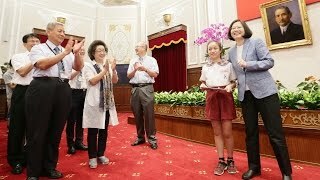 Global SchoolNet, in cooperation with the government of Kaohsiung city in Taiwan and the Ministry of Education of Taiwan, hosted a global project-based learning forum and International Schools CyberFair Affiliates meeting in Kaohsiung city, Taiwan. The purpose of this forum was to increase opportunities for global project-based learning and to share successful CyberFair implementation models from different countries. Attendees included education and business leaders from Taiwan, Hong Kong, the Philippines, Bangladesh, Malaysia, Poland, and the USA. We call upon people around the world to join us in observing Global Friendship Through Education on November 11, 2004 and every day, week, and month thereafter -- with appropriate ceremonies and activities! International Schools CyberFair, now in its twelfth year, is an award-winning, authentic learning program used by schools and youth organizations around the world. Students conduct research about their local communities and then publish their findings on the World Wide Web. Recognition is given to schools for the best projects in each of eight categories: local leaders, businesses, community organizations, historical landmarks, environment, music, art, and local specialties. This White House endorsed program encourages youth to become ambassadors for their own local communities by working collaboratively with community members and using technology tools to publish a Web site that displays what they have learned. The annual contest has involved more than one million students from 4,500 schools across 100 countries—and is considered the longest running international education cyber-event of its kind. Competition judging also takes place online. Students evaluate each others projects by using a Web-based evaluation tool designed by Global SchoolNet. The top forty entries are reviewed by international judges, to determine the winners. Winners of International Schools CyberFair are announced each Spring at a event that is global in itself, with hundreds of schools participating via Internet. The animosity between the Equality Bees and the Family Guardian Coalition has worsened since the passing of the marriage equality bill. The supporters of the bill cannot accept the opposers’ views, and the latter seem unwilling to respect LGBT rights. In the end, what are they fighting for? As the struggle continues, the cause is starting to take a toll on everyone’s life and morals. The only solution left is to go back to a time when we did not label each other, a time when we can all finally calm and sit down and listen to each other’s views. 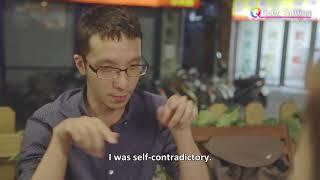 In the first episode of “Queer Taiwan,” the hosts interview representatives from both sides, including the founder of the Equality Bees Fan Gan-hao, the pro-equality activist Lin Yu-ting, the pro-LGBTQIA-rights reverend Chen Si-hao, the anti-LGBTQIA reverend Zhao Pei-feng, who has often confronted with the Equality Bees in public, the young representative of the Taiwan Family Union Chien Mong-hsuan, and Jovi, who already has her own lesbian family and a child. Straight families were also invited to share their points of view. The stories that come from the heart, everyone will listen to them. How hard is to start a family? Whether it is a gay or straight family, people go to great lengths to achieve their dream home. The appearance of surrogacy supposed a turning point for gay couples. However, the controversial figure of the surrogate is still illegal in Taiwan and most part of Asia. In the last episode of “Queer Taiwan,” we explore the issue of surrogacy from an objective point of view. Monetary benefits aside, the reward of helping a family fulfill their dream is becoming more and more relevant for the surrogates. Taiwanese Celebrity Hsiao Hsien describes her difficult journey seeking a surrogate in the US due to her infertility, she looks back and confesses how her efforts made her a different person. Jay Lin, father of two surrogate children, and another gay family speak about their surrogate mothers with endless gratitude. A straight couple looking forward to their surrogate getting pregnant, and a mother whose daughter cannot have kids encourage people to normalize and embrace infertility and its possible solutions. Other interviewees include members of the Taiwan LGBT Family Rights Advocacy and the CEO of The Garden of Hope Foundation, which encourages people to adopt and opposes surrogacy. 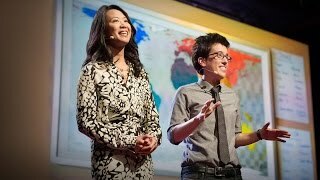 This Is What LGBT Life Is Like Around the World | Jenni Chang and Lisa Dazols | TED Talks As a gay couple in San Francisco, Jenni Chang and Lisa Dazols had a relatively easy time living the way they wanted. But outside the bubble of the Bay Area, what was life like for people still lacking basic rights? They set off on a world tour in search of "Supergays," LGBT people who were doing something extraordinary in the world. In 15 countries across Africa, Asia and South America — from India, recently home to the world's first openly gay prince, to Argentina, the first country in Latin America to grant marriage equality — they found the inspiring stories and the courageous, resilient and proud Supergays they had been looking for.